Audio converter software that works via right-click. 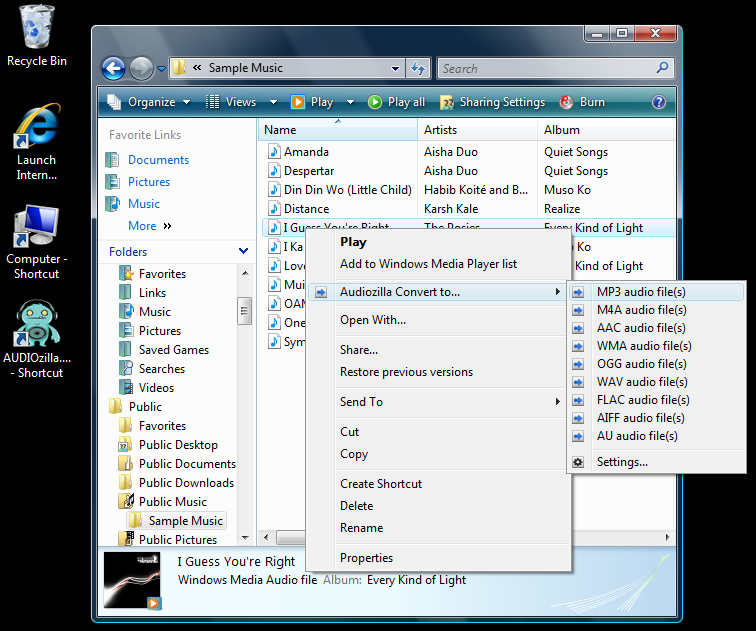 Just right-click any audio files on Windows Explorer, Audiozilla can instantly convert audio MP3, WAV, AC3, OGG, WMA, FLAC, AAC, M4A, APE, VOX, VOC, AIFF and more to other formats.
" 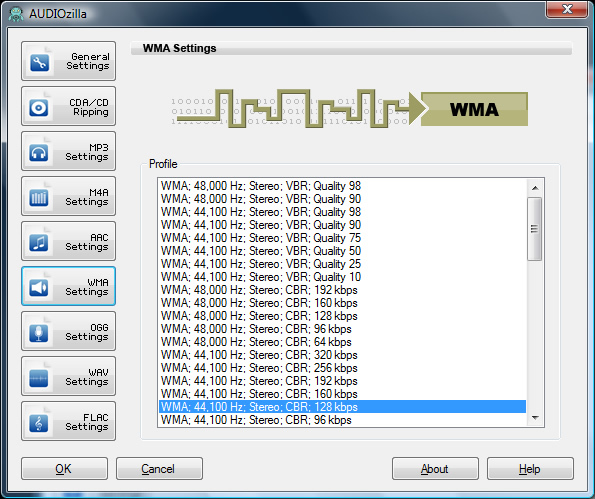 AUDIOzilla is a smart and easy to use application, that enables you to convert your audio files between almost any formats (MP3, M4A, AAC, OGG, WMA, FLAC, and many others). 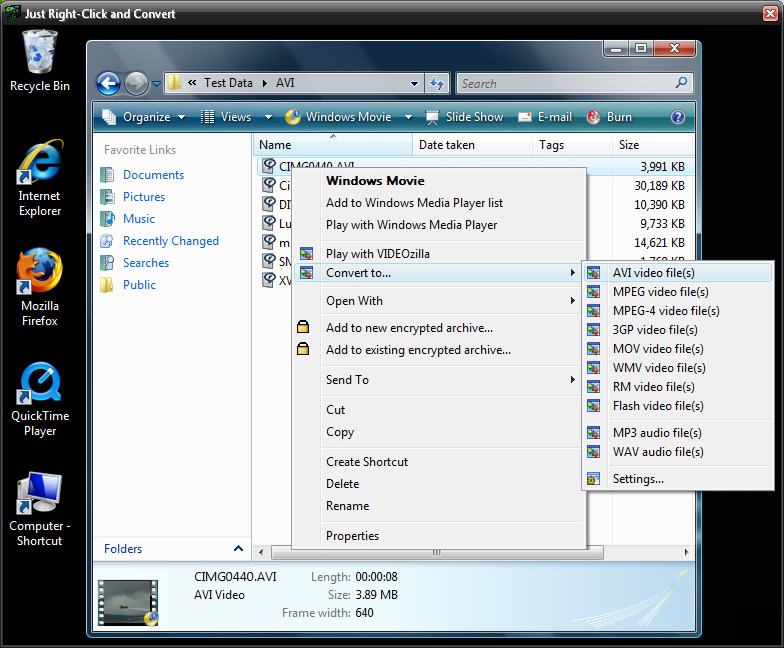 This software has a unique feature which makes it different from other tools from its class: AUDIOzilla integrates in the right click context menu. " 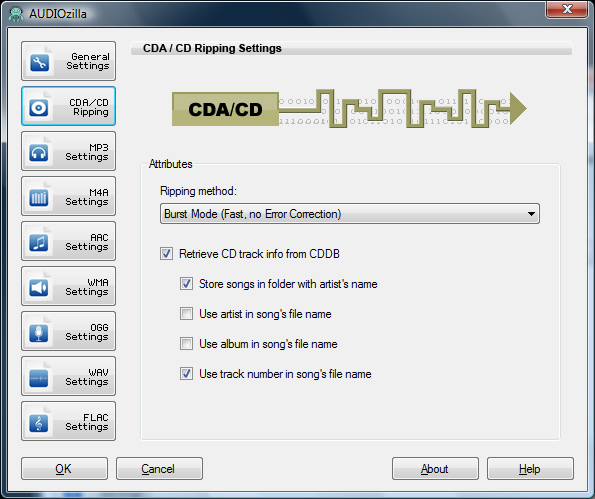 Convert audio between almost any formats: MP3, M4A, AAC, OGG, WMA, FLAC, AU, WAV, AIFF, MP2, AC3, AU, APE, MPC, MOD, VOC, CAF, RAW, PCM, GSM, VOX, WV. Select and convert audio from video files MP4, M4V, WMV, ASF. 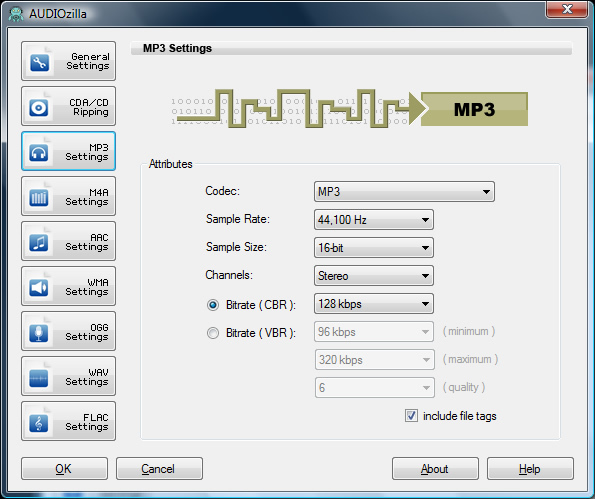 Convert audio files for your iPhone, iPad, Mobile. Options can be set for start and end points of an audio; output audio format quality like bitrates, channels, sample size; keep / remove audio tag information.